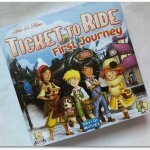 Our next game as part of the Blogger Board Game Club is Ticket to Ride, First Journey by Days of Wonder. The aim of the game is to be the first player to complete 6 tickets. You start the game with 4 train cards and 2 tickets. On each ticket you have two cities and it is those 2 cities you are trying to connect to complete the ticket. On each turn you can either get two more train cards or discard the train cards to claim a route. You can only claim a route if you have the exact colour and number of cards for that route. If you can’t connect the route you need as it is blocked then you can use your turn to discard both your ticket cards and draw 2 new ones. Once you have claimed a route you reveal your ticket and pick a new ticket. If you connect an East Coast city to a West Coast city then you claim a coast to coast ticket. This counts as one of the 6 you need to win the game. 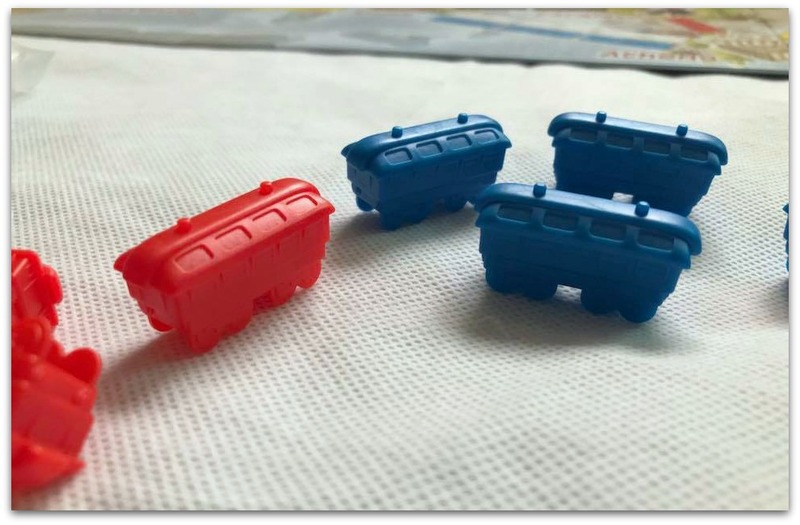 The game ends when someone completes all 6 tickets OR if someone has placed all their trains on the board then the one with the most tickets wins. The winner then receives the golden ticket as a reward! 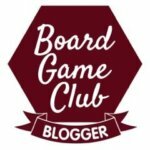 The game is for 6+ but Bee attempted to play it with us (she is 5). She loved the whole concept of trains but did need help with her strategy and with my help she did win! I think she was just happy placing the trains where I told her to. If the children are young and still struggle to read the cities names then the board and tickets make it easy to plan their routes with pictures of the cities. 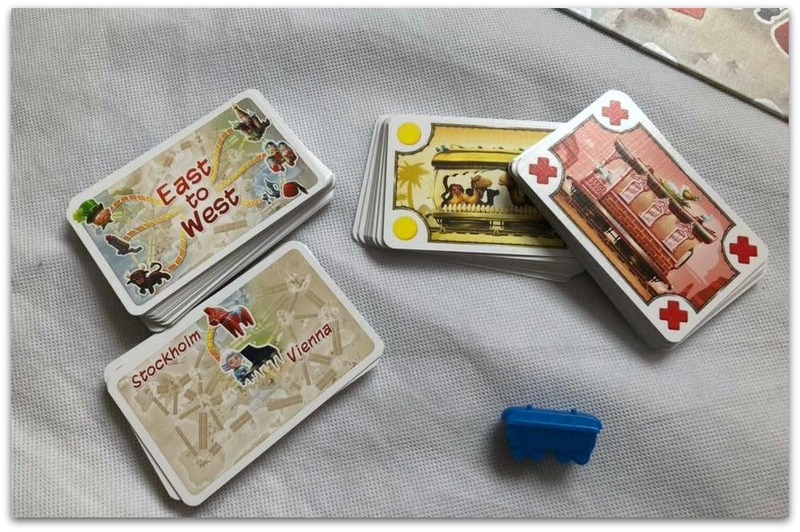 The game is fun and involves using strategy to work out which is the best route to get to the destinations quickly. So it does make the players stop and think. The girls did seem to enjoy playing it. 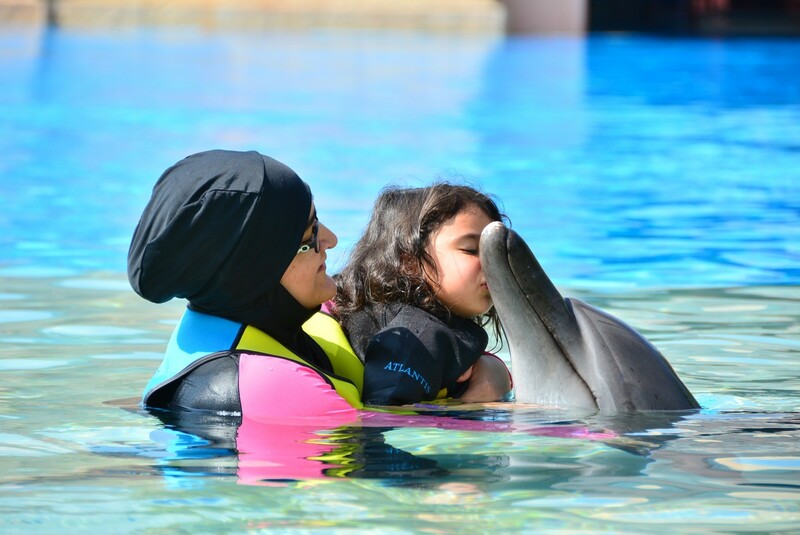 It takes around 15-30 minutes to finish a game, so not too long and should keep the younger children’s attention. 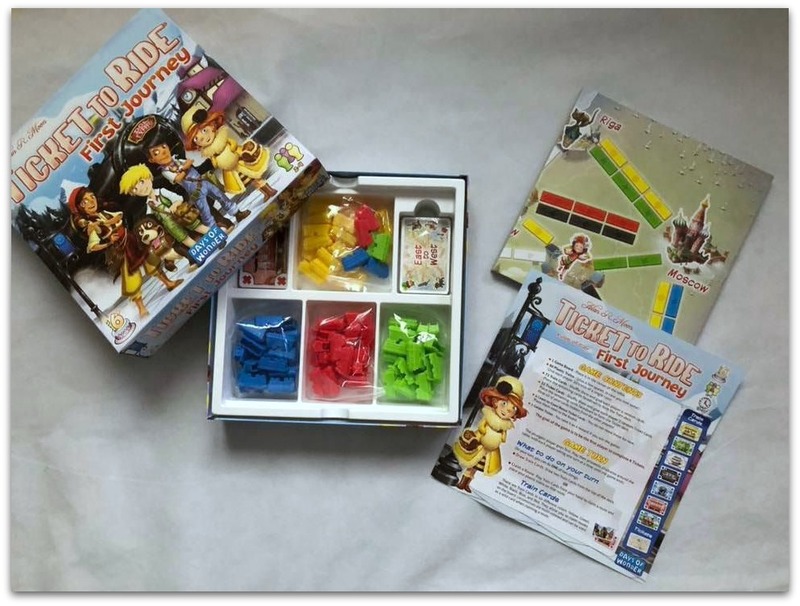 Disclaimer: We were sent Ticket to Ride for the purposes of review as part of the Blogger Board Game Club. All thoughts and opinions are our own. That looks like a fun game. 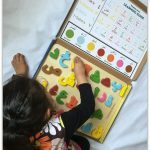 I love games where kids can learn different skills and use strategy to play. Looks like a whole lot of fun. A game that teaches young kids as they play is always a good idea. Something I would consider getting for my little nieces and nephews. Not something I would personally use but extremely interesting for a gift. Its something new im learning daily. Those colourful trains. Sounds fun and interesting. Maybe a good game to gift to kids. 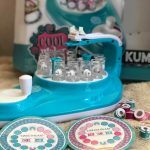 This game sounds fun and educational…..As summer vacation is soon approaching I am making a list of board gmaes for my lil one….will check for this too…thank you for sharing….